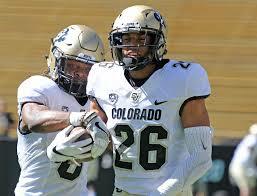 Isaiah Oliver hasn’t been connected to the Green Bay Packers in many of this offseason’s mock drafts, but after watching all of the top cornerback prospects, I’m beginning to think the former Colorado star might just be a perfect fit at 14. In my opinion, the only better corner in this draft is Ohio State’s Denzel Ward, but he’s unlikely to make it to 14. And even if he does, I’m not so sure GM Brian Gutekunst wouldn’t prefer Oliver, who doesn’t run as fast but is three inches taller. The Packers liked Kevin King enough last year to strongly consider him at 29 and then pick him at 33. Oliver is a much better prospect. He’s not quite as tall, but he has longer arms and more fluid hips. And while Oliver – much like King – will struggle at times when facing smaller receivers that can break off their routes in a hurry, he should fare better versus quickness thanks to a smoother and more balanced pedal. We don’t know exactly what to expect from new defensive coordinator Mike Pettine, but it’s safe to assume he’s going to ask his corners to play a lot of press coverage. That only makes sense when the team’s top returnee at the position is King. Pairing him with Oliver would give Green Bay two big corners who could abuse wide receivers at the line of scrimmage once they learn how to use their hands more effectively. And forget about completing many deep passes against this duo. King ran 4.43 at last year’s Combine, and Oliver has unreal recovery speed. Plus, both youngsters play the ball extremely well in the air. In the case of Oliver, really well. 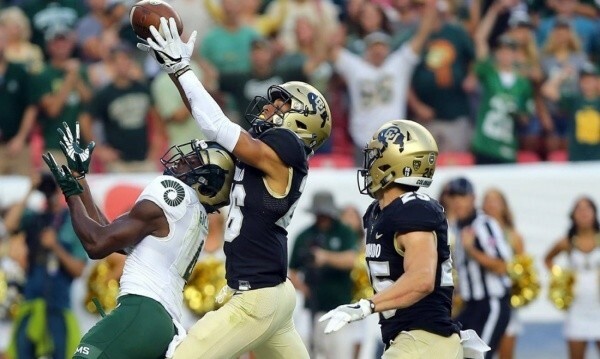 Check out this incredible interception from a game last season against Texas State. Here’s a less spectacular play, but it’s just as impressive. Watch how effortlessly Oliver stays with speedy Washington St. receiver Tavares Martin Jr., and then uses his length and impeccable timing to swat the ball away. Another thing I really like about Oliver is his ability to close quickly on the ball. He plays with a bounce in his step that allows him to plant and drive on throws in front of him. I saw this numerous times in last season’s game against USC and their star quarterback Sam Darnold, who could be the No. 1 overall pick in the draft. In the video below, Oliver tackles wide receiver Michael Pittman Jr. immediately and forces a punt. As far as playing the run is concerned, Oliver could certainly improve that part of his game. He showed only intermittent physicality on tape. He tends to be more of a grab and drag tackler and doesn’t always take the best angles. On the positive side, he never stops hustling. The video below is a perfect example. Watch him save six points by chasing down Texas State’s Anthony Taylor 57 yards past the line of scrimmage. 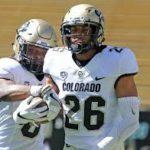 Is Oliver the 14th best prospect in the draft right now? Probably not, but he has the potential to be a better pro than many of the players who are almost universally ranked ahead of him, including fellow cornerbacks Josh Jackson (Iowa), Jaire Alexander (Louisville) and Mike Hughes (Central Florida). With quality coaching and a little patience, Oliver has a chance to develop into a true No. 1 corner – something the Packers haven’t had since Sam Shields suffered a season-ending injury against Jacksonville on Sept. 11, 2016.